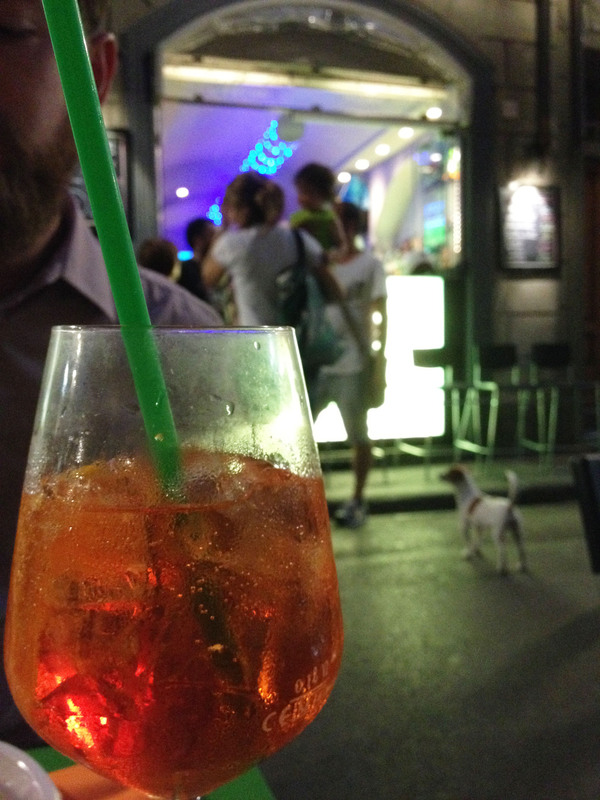 Many of the evenings I spent in Italy began like this: A hot evening, a crowded patio, an Italian sunset, and several Aperol Spritzes. During Aperitivo, the supersonic happy hour hosted by many bars in Italy, you can munch on a simple but plentiful buffet of breads and pasta as long as you are drinking, and the most popular beverage is definitely the Aperol Spritz. Everywhere you go in Italy you can walk down the street in the late afternoon and see people sipping on these delicious libations while their staccatoed conversations echo through tiny alleyways. 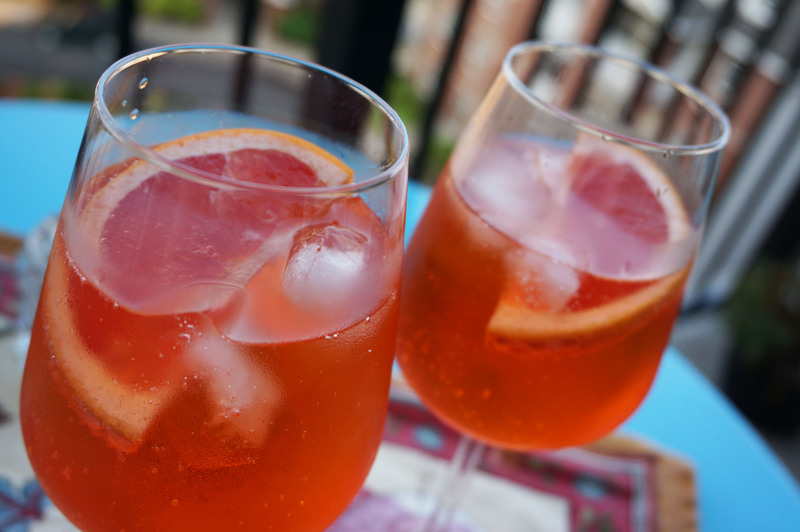 With all the hot and muggy weather the Atlantic provinces have been experiencing this summer, I think everyone deserves a couple of Aperol Spritzes on the patio, and though the season is almost at it’s end, there is always time for a great drink and an al fresco evening, Italian style. Aperol is a bitter organgy aperitif created in Italy around 1919 when it was launched at the Padua World Fair. It didn’t gain popularity until after World War Two when the Aperol Spritz became a popular pre-dinner drink. A classic cocktail, the simplicity and bitterness are a unique aperitif that’s easy to make and even easier to drink. With notes of herbaceous rhubarb and the bubbles of prosecco tickling your nose, living the dolce vita is easy when you’ve got a Blood Orange Aperol Spritz in your hand. This classic Italian cocktail is perfect for hot summer nights on the patio. Combine ingredients in a tall wine glass filled with ice, sit outside, enjoy.